Still haven't sorted out school holiday activities yet? Here are some options to think about before the kids head back to school. 100s of animals including reptiles, snakes, fish, rabbits, poultry, birds, dogs, cats and more. Two walk through animal nurseries and you can buy pet products at special show prices. Hear pet advice from leading animal experts so come along & meet Dr Harry from Better Homes & Gardens. The 2017 Festival of Mud is a celebration of children getting active, playing in nature, discovering natural loose parts play, and enjoying the freedom and sensory delight of getting muddy. Enjoy a great day of outdoor play featuring a major mud play and stick cubby building set-up, natural loose parts galore, clay-based nature arts, story-time with Unley libraries, geocaching and much more. The concept encourages children to play, explore and experience by offering workshops for a wide range of ages. Too many activities to list, check the website for updated information on program, activities, dates, times, venues, cost and bookings. 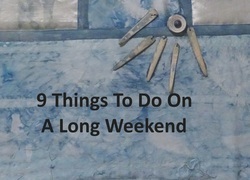 Bunnings have so many activities and workshops at each store these holidays you will have to check out the website to find out what your local store has to offer. This April the programs are packed with heaps of off the wall, soar, amazing acrobatics and circus spectacular sessions. Try a taste of everything or pick specialised days. Have fun while learning the skills of the future!